This story dates back to 1957, when Theodor Geisel a.k.a. Dr. Seuss, published it as a book through the publishing company Random House, and it was also published as an issue of Redbook as well, shortly thereafter. The 69-page book, which follows The Grinch as he tries to sabotage the annual Whoville Christmas celebration below him, so he can finally get some peace and quiet, was named one of the Teachers' Top 100 Books for Children in 2007 by the National Education Association, and it was also ranked #61 in the Top 100 Picture Books of All Time. The 2000 adaptation was the highest-grossing movie domestically that year, pulling in $260 million, but just $345.1 million worldwide, from a $123 million budget. It would also go on to win an Academy Award for Best Makeup, and it was also nominated for Best Art Direction and Best Costume Design. With Illumination's new animated take, arriving more than 50 years after the original animated classic, it will be interesting to see if fans will still flock to theaters like they did for the live-action adaptation 18 years ago. One thing's for certain, though, it will have no shortage of competition at the box office. Universal Pictures has set a November 9 release date for The Grinch, putting it up against Sony Pictures' The Girl in the Spider's Web. It will also arrive a week after 20th Century Fox's Bohemian Rhapsody, Paramount's Nobody's Fool and Disney's The Nutcracker and the Four Realms on November 2, and a week before Warner Bros.' Fantastic Beasts: The Crimes of Grindelwald and 20th Century Fox's Widows on November 16. There will also be a jam-packed frame the following weekend over the Thanksgiving holiday, with MGM's Creed 2, Disney's Ralph Breaks the Internet: Wreck-It Ralph 2, Lionsgate's Robin Hood, STX's Second Act and Universal's Welcome to Marwen. 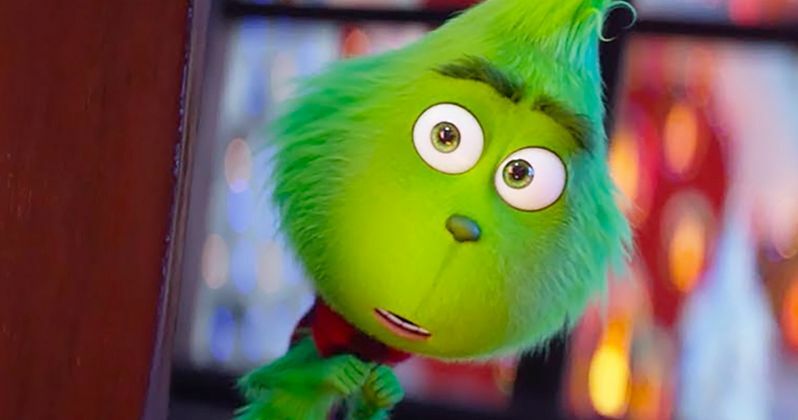 Take a look at the new trailer below for The Grinch, courtesy of Universal Pictures.